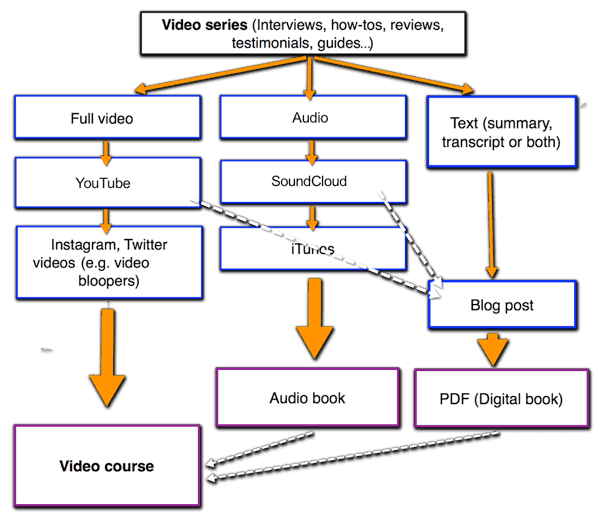 A quick guide for converting blog articles into videos to diversify your traffic, rankings, and income sources. There’s one trend digital marketers can no longer ignore: The rapidly growing demand for video content. And it’s not just the demand, customers and readers expect to find video content whenever they visit a site. Video content is undergoing the same evolution that text content once underwent. Remember when writing was the prerogative of journalists, professional writers, and content copywriters at big ad agencies? The rise of content management systems (CMS) turned each of us into a writer, a voice that can be heard. Once upon a time, making a marketing video used to be a big deal too. You needed professional software and months of training to start producing videos. These days it’s different: Not only has video marketing become much easier, but it’s also something no one can afford to neglect: As a digital brand (be it a business, SaaS or an independent blogger) you are expected to produce video content. Focusing on text content is too limiting. 45% of Internet users watch over an hour of Youtube or Facebook videos a week. One-third of Internet activity is spent watching video. So, how might you easily create videos by re-packaging your articles into video format? Content re-packaging means turning one content format into a new one for wider reach and better usability. In this case, we talk about turning text articles into videos (but there are many more forms of content re-packaging). You can turn just about any article into a video. 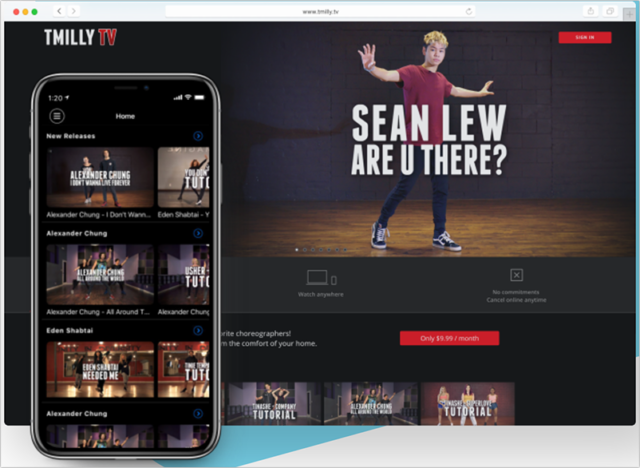 Think about video lists, video takeaways, video comments, video slideshows and many more types of videos that you see daily on Facebook and YouTube. 2- Each time you are writing an article, use the (adapted) text version for a script. You can record your own voiceover or hire a voiceover through services like Fiverr (which is what I do to avoid issues with viewers understanding my accent). There are quite a few awesome and cheap voiceover gigs out there. 4- To put everything together (and add subtitles) I use iMovie which is free and incredibly easy to figure out. I haven’t tried editing videos on Windows but try googling for Windows Live Movie Maker, Movie Maker and Adobe Premiere Elements to choose one that makes most sense to you. There are many more video creation tools that will surely expand the list of ideas and diversify your video assets. As you can see the budget here is quite modest. If you choose to buy a voiceover and even buy some video footage, your budget shouldn’t exceed $50 per video (plus your time putting things together). With each video you’ll feel more and more comfortable. You’ll be able to re-use much of the footage and make things quicker by using the same software. There’s one more important benefit of re-packaging your text articles into videos: The ability to optimize off-site content assets that you can control for your most important search queries. Let’s face it. However hard we work on optimizing our content, there’s only one place (out of the top 10) that we have a chance to hold. This leaves 9 more top search engine (read: Google) positions for our competitors. There’s only one way to take more than one spot: Create off-site content. Depending on circumstances, this may include guest posts on other sites, reviews or interviews, and, in our case, videos. YouTube is perfect for this goal because it’s quite easy to rank a YouTube video for just about any long-tail phrase. The downside of focusing on Youtube is that there’s not much you can do to drive people off Youtube towards your site. But, it’s still better than nothing. 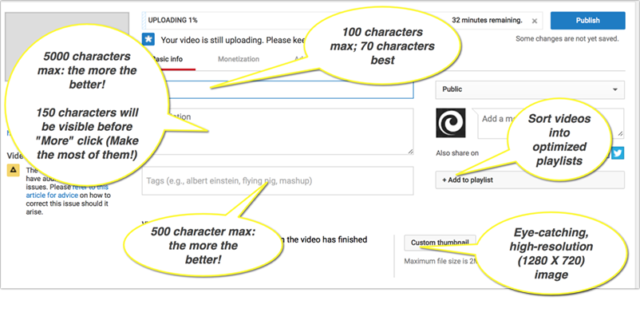 Here’s an additional resource on Youtube optimization to bookmark. Use the same trick at the brainstorming stage too: It will help you to come up with better video series ideas. Now, I won’t leave with just one tip on putting words in a video format. I want you to see a bigger perspective. Let’s take one step further. Remember how I started with the recommendation on brainstorming a content series versus one single article topic? The reason is that, in the long run, you can turn those multiple videos into a bigger asset, i.e. video course. Set up an alternative monetization method for your business. 1- Udemy is free to start but it’s quite restrictive. Expect it to dictate how you format your course, how you are allowed to reach out to your students and even how to price your course. Still, it’s a good option if you are just starting out. Schedule email marketing campaigns to engage your students further, etc. Want an easier way to track overall engagement of your marketing videos? Browse our library of free templates and get beautiful visualizations of your engagement data in seconds. Check out free templates for YouTube, Wistia, and Vimeo. Ann Smarty is the Brand and Community manager at InternetMarketingNinjas.com as well as the founder of ViralContentBee.com. Ann has been into Internet Marketing for more than 10 years, she is the former Editor-in-Chief of Search Engine Journal and contributor to prominent search and social blogs including Small Biz Trends and Mashable.